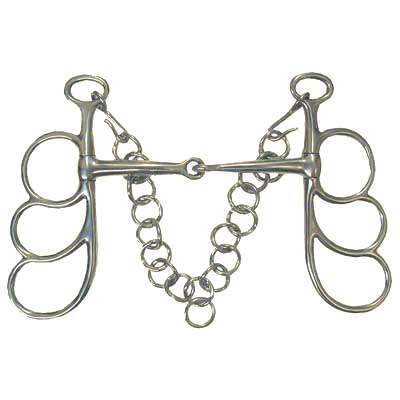 Not only are these Butterfly Horse Bits made of high quality Solid Stainless Steel they will also provide maximum comfort for you and your horse. Treat your horse with a luxurious Butterfly Driving Bit made using only the highest quality materials available. These superior quality bits are on sale now. The Driving Bit includes hooks and curb chains made of stainless steel. This is one of the most popular products available.